Meditation and contemplation; Principles of Asceticism; Asceticism – monastic, lay, and ‘pastoral’; Purification; Illumination; Union. Christian spirituality is biblical in its source, it is liturgical in its context, it is ascetical in its development, and it is mystical in its outcome. ‘Mystical’ is a strong word, but the Dominican school does not accept the opinion that this final issue of spirituality is extra-ordinary - in the words of Réginald Garrigou-Lagrange, theologically speaking it is ‘eminent, but normal’. These four adjectives – biblical, liturgical, ascetical and mystical – explain the structure of this present book and its contents too. Aidan Nichols, a Dominican of Blackfriars, Cambridge, is surely the most prolific Catholic theologian writing in English today. 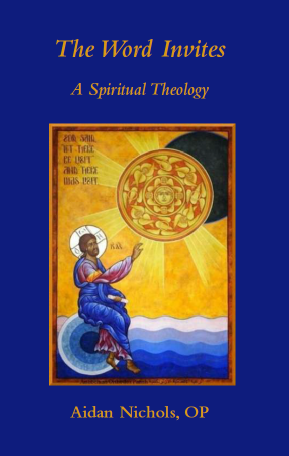 Other titles from Gracewing include Catholic Thought Since the Enlightenment; Lessons from a Rose-Garden: Reviving the Doctrinal Rosary; Year of the Lord’s Favour a four volume Homiliary for the Roman Liturgy; and two studies on Orthodox theologians, Mystical Theologian: The Work of Vladimir Lossky and Wisdom from Above: A Primer in the Theology of Father Sergeĭ Bulgakov. His latest publication is Alban and Sergius: The Story of a Journal.